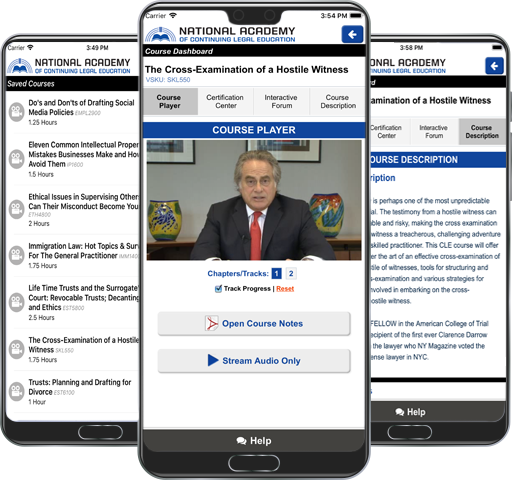 Our app lets you take your CLE courses at your own pace and even allows you to save your courses to your phone in HD video so you can watch them when you are off-the-grid. Our CLE tracker knows your requirements and due dates and keeps track of your progress for you making CLE compliance a breeze even if you are licensed in multiple states. Your certificates are instantly awarded after each course and are conveniently stored in your account.